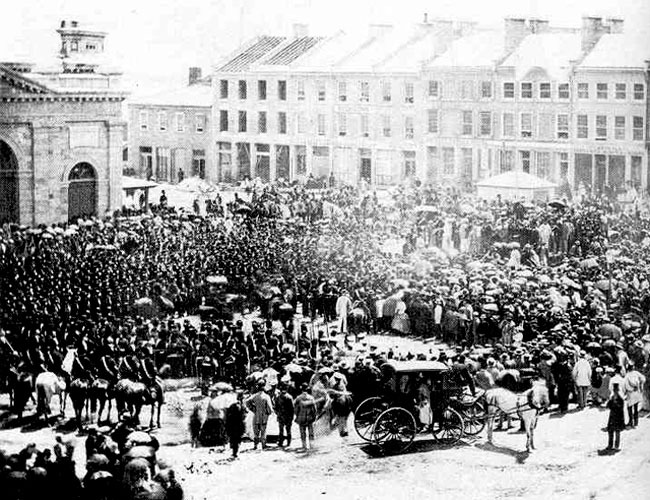 By Confederation, Kingston’s population was around 12,000, including 3,000 soldiers and their families, as well as the inmates of Kingston Penitentiary. 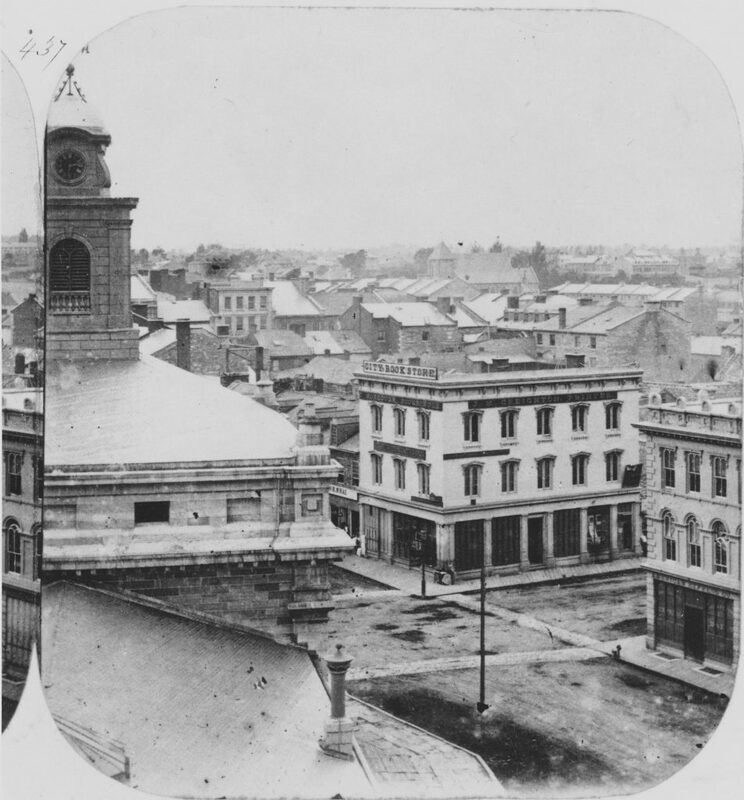 Although the City of Kingston was still relatively small—the city limits had only been extended to Palace Road seventeen years earlier—the city itself was booming. There were wagon and carriage makers, as well as manufacturers of goods such as tinware. The city also had a piano and cigar factory, a tannery, a broom factory and several breweries. 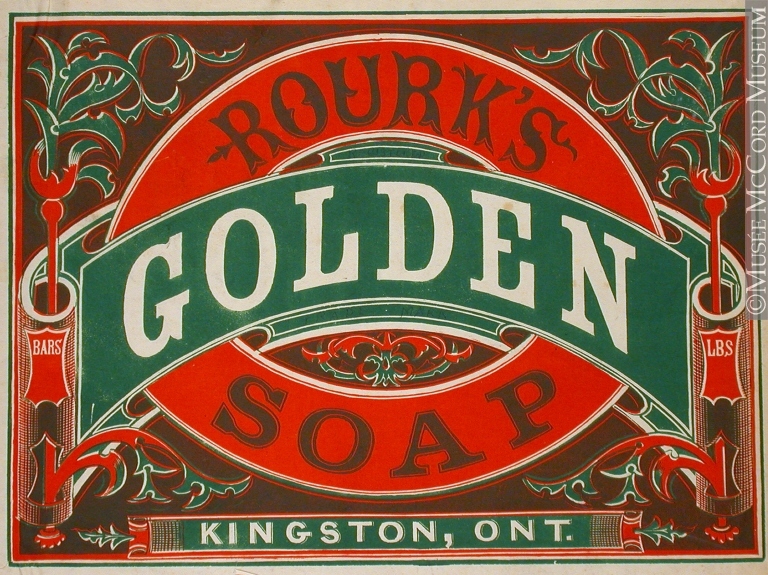 There were also shipbuilding and locomotive operations, as well as a knitting mill and a sewing factory that operated along the waterfront, near Kingston General Hospital. By 1867, the Medical Register of Upper Canada listed twenty-one doctors in Kingston and the immediate vicinity. Seventeen of those doctors were registered in Kingston, while the others were registered in the Village of Waterloo (Cataraqui Village), Wolfe Island, and Odessa. as Cobourg; Hotel Dieu, which provided care to the city’s Roman Catholic residents; the Sisters of Charity at the House of Providence, which cared for the city’s elderly indigents; and other institutions, such as the House of Industry; the Criminal Lunatic Asylum at Rockwood, located outside of Portsmouth Village; as well as an orphanage, which operated under the care of the Widows’ and Orphans’ Society.